Our local literary society read Mansfield Park this month celebrating the 200th anniversary of the publishing of Pride and Prejudice. Two great authors on my mind today, Ann Kroeker and Jane Austen. The following is my attempt to serve something Jane may have enjoyed two hundred years ago and Ann Kroeker and I have enjoyed many times over the years. A friend offered to grind wheat berries in his Vitamix, and my challenge began. The flour was very coarse. 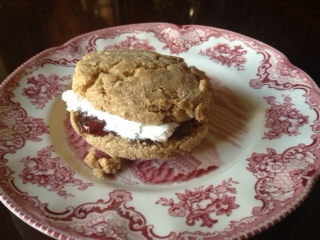 My scone recipe comes from Tea and Inspiration , by Mary Pielenz Hampton page 33. I associate scones with Ann and celebrate her today and God’s great love for me as we became friends almost twenty years ago. Ann encouraged me to write my blog and mentors me as I pen online to all of you. I use only a tablespoon and 1/2 of sugar, and I think that is a big part of the success in the flavor. I also use non-salted organic butter. Begin by cutting 1/2 stick of butter in tiny pieces and dropping into 2 cups of flour, 1 tablespoon of baking powder and 1-2 tablespoons of sugar mix thoroughly with your hands until tiny particles of butter coat the flour. Drizzle in 2/3 c of whole milk and flatten into a circle with your hands, and place it in Saran wrap and then fold a towel over it to seal and make sure the moisture stays in tact. 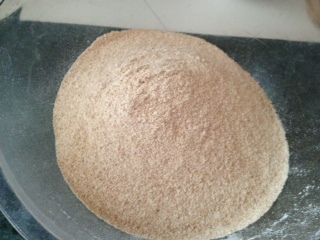 This will keep a couple of hours until you are ready to bake, and you can stack several. 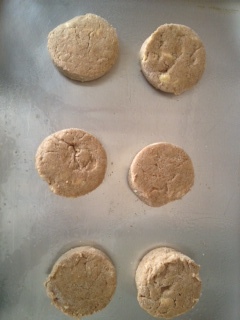 The scones go in the oven at 425 degrees as your family arrives home. Ten minutes to hot scones, preserves, clotted cream and pair with a nice Darjeeling tea make a late afternoon or early evening party. 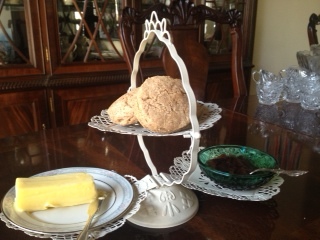 My husband is home with a horrible cold, so I served his afternoon scone with butter. Ann sent this lovely trivet with a gift set of scone mix and jams to welcome our family to Texas. I am enjoying mine with crème. You are the BEST! I love this, Trish, and you know what’s funny? I always associate scones with *you*!! Thank you for highlighting me on this wonderful day, and I will follow these instructions next time I whip together a batch of scones. Bless you, dear one!